This week, one of the senior chaps from YPRADO came to the ARCO2 / ecofab offices to do a presentation on the YPRADO company and their Pultec® GRP Windows & Doors. Great to see a full sample window and a corner cross section. Great to have the presentation and then discussion with Chris Dixon from YPRADO and the ARCO2 / ecofab team. The GRP is pulled through the pulleys etc. The even and controlled drying out / curing of the GRP means that if damaged (like a GRP surf board) you don’t exposed glass fibres and un-cured resin that can give osmosis star crazing. Lifespan (75 years plus, ease of replacing any glazing units that fail). Outlasting PVC, Alu clad wood etc. means ends up being cheaper and lower environmental impact as one set of GRP windows and doors = 1+ sets if PVC, wood or Alu clad wood. 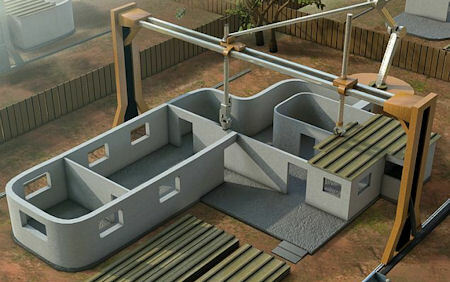 End of life recycling (theoretically possible, but nobody is currently doing this, but how much are Alu clad timber frames etc. properly recycled? Sadly, few if any). In Europe their seem to be only 3 factories who can recycle GRP. ERCOM in Germany, MCR in France and Miljotek in Norway. They struggle to find markets for their recyclate. Current end of GRP life is landfill (relatively cheap), incineration (50% becomes ash which is landfilled) or into cement production (energy from incineration and ash into the cement). There is currently no market value for waste composite in the UK as recyclate. Other than a few firms which grind production waste and use it as filler. At the moment the recycling cost is too high. As the price of landfill goes up or the raw material price goes up, this could change. Outlasts alternatives, so over 30 years apparently cheaper than PVC. Wood required re-painting every 3 or so years. Factor that cost in and the shorter life and more expensive. Photo of the sample window brought to the meeting. Focusing on the handle! krypton has about half the conductivity of argon. Krypton is an inert gas, heavier and denser than Oxygen. It is colourless, odourless, tasteless and harmless. The Earth’s atmosphere is made up of approximately 0.00011% krypton. It is obtained by separating air into its constituent components by fractional distillation. Soft coat Low E glass is more reflective than hard coat Low E glass. A “hard-coat” low-e application is done when the glass is in a molten state. 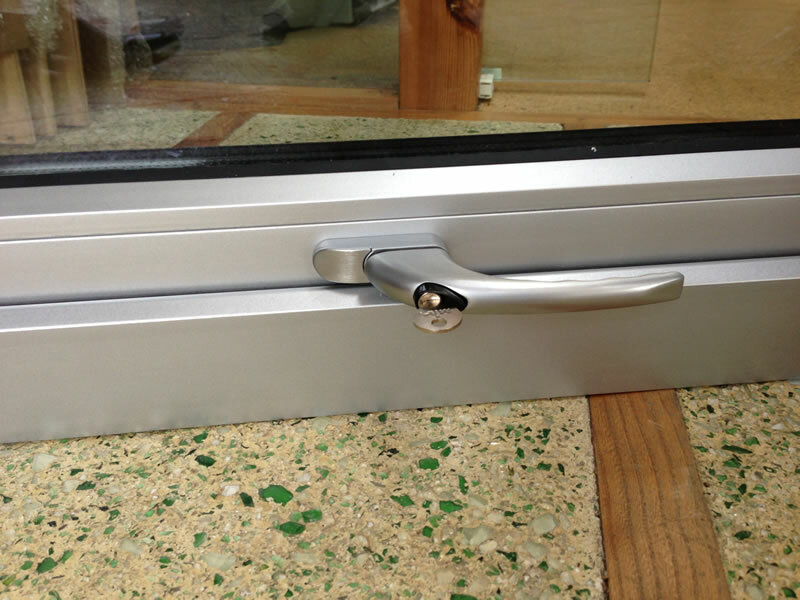 The process results in a durable coating that can be used on storm doors and windows. A “soft-coat” low-e application happens after the glass is made. The soft coat is more efficient at reflecting heat energy, but also more delicate. This low-e coating always faces the insulating airspace in double or triple-pane glazing. Since soft coat emissivity can oxidize when exposed to air, argon or krypton gas is often used in the insulating airspace to help preserve the coating. This summary is from an email from YPRADO. BREEAM: 4½ extra credits potentially available. 22% is from a recycled source. Product 100% recyclable upon disposal. Sensitivity Report (emailed to me), quantifying environmental credentials by sustainability consultants Price & Myers, London. I’ve asked for triple glazing, so even better U Values. Low embodied energy in pultrusion manufacturing process (confirmed by GreenBuildingForum threads, where there was however some discussion regarding the embodied energy of the raw materials). 75 years service life + 12 year Warranty. But the paint will slowly fade in colour. The paint is over the white GRP frames. The paint chemically bonds to the GRP (unlike paint on Aluminium frames). Impervious to salt corrosion and sea water. Impervious to the harshest weather – effectively, indestructible by natural forces. Zero maintenance required – however, surface damage, structural repairs and re-painting can be easily undertaken on site, with no consequential liability for future applications. You can just use surf board resin or similar. High resistance to impact damage – will not deform under impact. 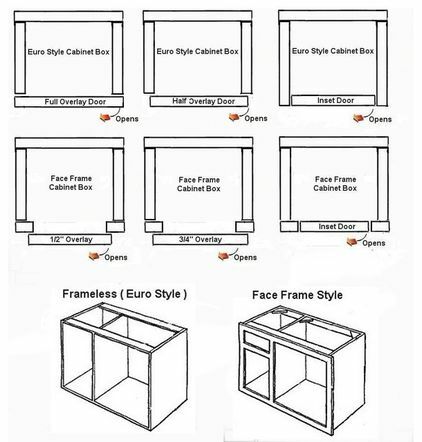 Highly price competitive with aluminium and timber/alu composite windows. Impervious to all chemicals and most acids. 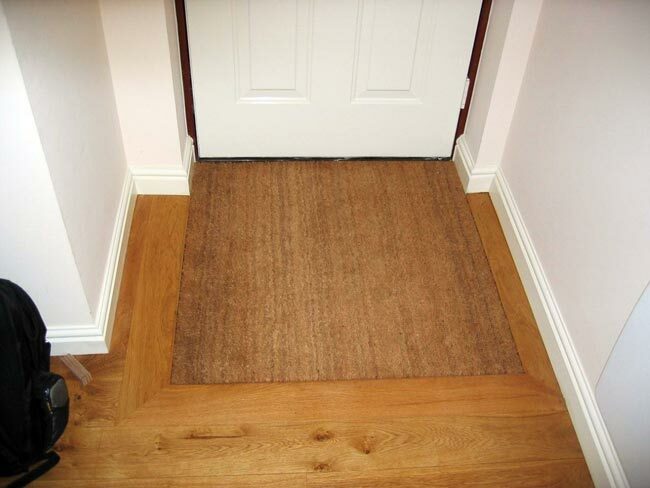 Eco barrier and door mats to keep your home clean and looking great. We’ve got fun door mats, mats for dogs, for keen gardeners and for doing your laundry. Super absorbent and durable, the mats get softer the more they’re washed and are made of 100% recycled materials by UK manufacturer Hug Rug. Why dont all building inspectors use thermal imaging cameras? 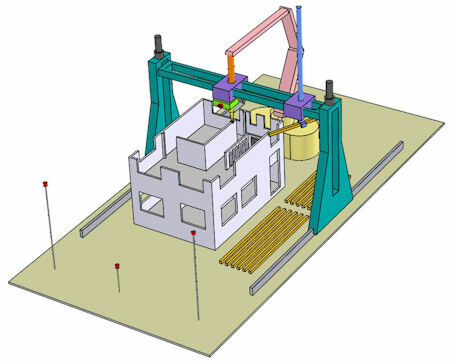 That include using a thermal scanner for during and post build use of thermal scanners to check for thermal efficiency (leaks, bridging, U-values). Wait for the heating to be working, so that it’s warmer inside than outside by 8C or more (so probably winter !) and start using a scanner. From inside, to look in all directions (floor, walls, ceiling) and from as many external aspects as you can. You could find where (for example) insulation in the wall has perhaps sagged and left a less insulated section. Yes you’ll possibly find problems when it’s too late (ie not during the build) but better late than never, as you may still be able to improve where these problems are. – if it’s during the build, but post final hand over, you can get the builder(s) in to sort out the problems. It’d also be interesting to 2, 3, 5, 10, 20 years on to do the same and see how the building has held up. – yes it’d be good to also get an air test several years in. One problem with this plan is that an air test is about £300 at the moment. That’s a lot, unless you believe there is a big reduction in the building efficiency and you want to check, to confirm (and if the case) resolve what has failed over time. FLIR Thermal Image cameras start at around £1,000 and what training / learning do you need to use one properly? rental option ! eg the FLIR i5 for £95 a week (purchase price is £1,236). “Contemporary” typically means of the moment or current, the design of right now. “Modern” refers to a specific design style from the early to mid 20th century that broke with the traditional styles of the days before the Industrial Revolution. 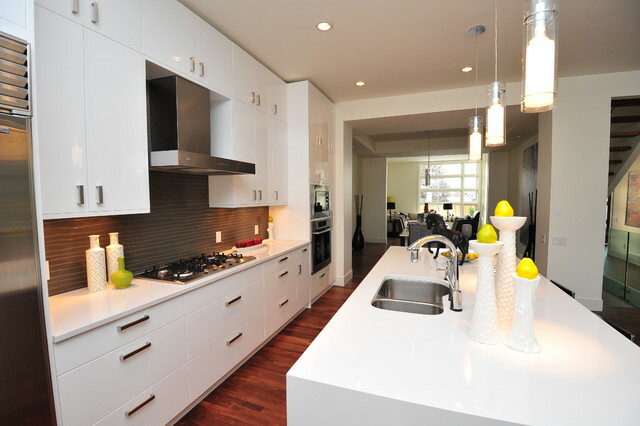 Looking at the Houzz page on Contemporary kitchens, I’m biased to their definition of “modern”. Full overlay door, ie the door overlays the cabinet box. Lack of ornamentation. ie no patterned tile shapes or multiple materials with textures. So sleek hardware, full height glass splashback. No patterns or veining on coutertops. The picture below is also from Houzz. Long clean lines. – but on the detail, I want the hob elements on the island, not the sink. It’s more social to cook around the hob and putting the sink on the back wall means dirty dishes and dishes that are drying are more out of sight. 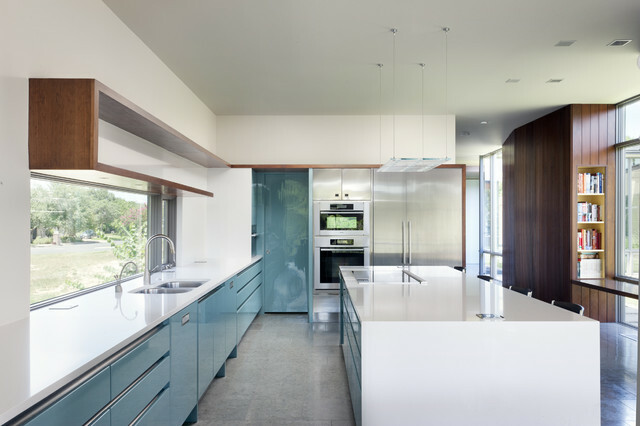 The picture below is from the Remo Alabaster Linear Second Nature kitchen. They have Falmouth and Wadebridge offices.